Jayatu Sen Chaudhury is the Vice President, Global Commercial and Merchant Data Science and Head of Enterprise Digital & Analytics India for American Express India. Prior to this role, he was leading the Head of Global Information Management and Big Data Labs. 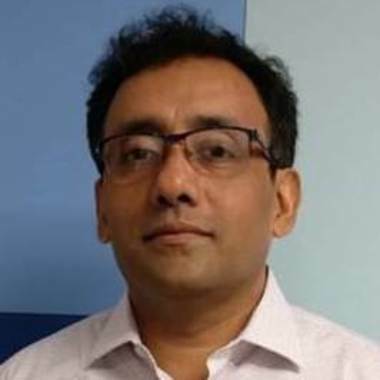 His job entailed integration of Big Data Solutions in CORE processes of American Express across businesses – Risk Management, Marketing Analytics and Operations. Big Data Lab has been established as an Enterprise wide Capability under his leadership. Jayatu has been a part of American Express since 2001, working in the various Data Science Functions for both US and International markets. He has earned his PhD in Financial Economics from IGIDR, Economic research institute funded by the Central Bank of the Country (Reserve Bank of India). Prior to joining American Express, Jayatu worked in Data Science for three plus years each in GE Capital and ICICI Bank. He has been named as the 2015 RIM Fellow and have received RIM Excellence Award and Chairman Award for Excellence. Currently in its fourth year, the RIM Fellow Award recognizes a team member who has delivered outstanding outcomes, developed advanced technical skills and deep subject matter expertise, demonstrated a passion for innovation, and created sustainable followership consistently for at least 10 years of tenure at American Express. He has unequivocally demonstrated these qualities during his rich, 16-year career at AXP. He’s passionate about bringing new talent and grooming them for leadership positions across Blue Box. In his free time, he enjoys long distance running, reading and teaching. Workshop: How Amex Has Adopted Big Data and AI Across Its Core Processes. This presentation will discuss how Amex has adopted Big Data and its core processes in risk, fraud, marketing analytics and operations under the overarching framework of keeping customer data privacy issues at the centre of their focus. Meanwhile, Amex evolved to use a nimble and agile framework through establishing the right infrastructure to ensure that the company is unified across the Enterprise, can apply the BD and AI techniques at scale and pass on the benefits to customers.